Keep up with all the latest news, technological advancements, new products, and discoveries while on-the-go from your smartphone or tablet. GEN covers the entire bioproduct life cycle from early stage R&D to applied research including OMICs and biomarkers, as well as diagnostics, to bioprocessing and commercialization. 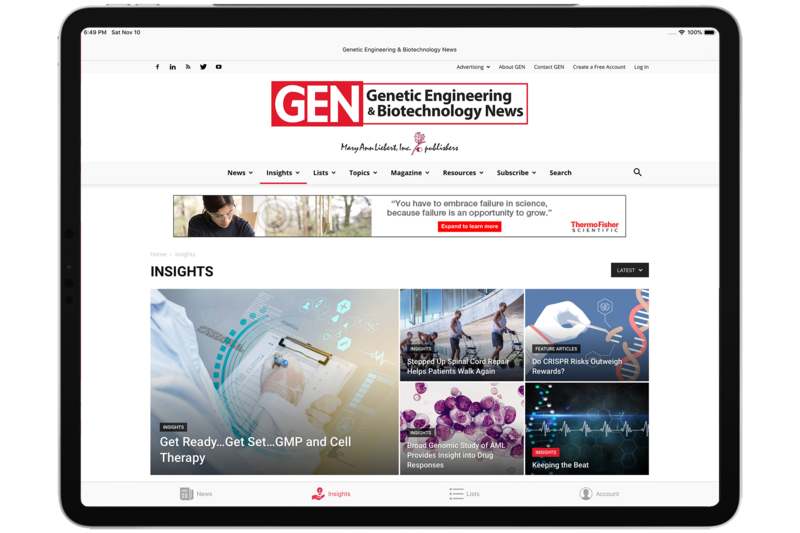 The GEN app provides you with the latest news in life sciences with a focus on genetic engineering and biotechnology, all while you're on-the-go. 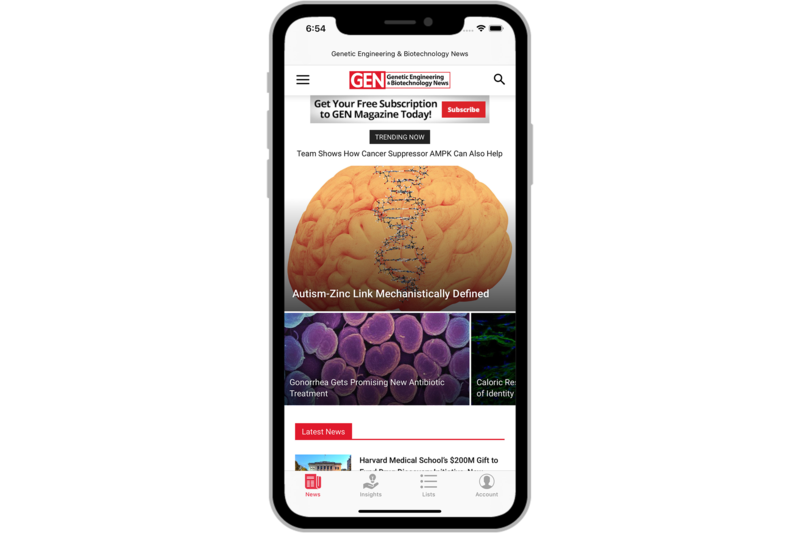 Get in-depth insights and perspectives on new scientific trends, products, and methods all from your smartphone or tablet device. Receive detailed analysis on industry trends, rankings and more. 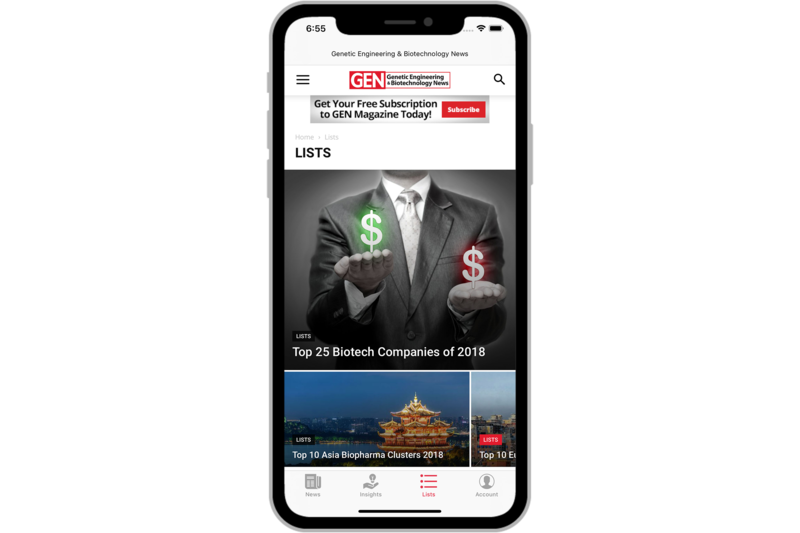 GEN lists feature and rank industry leaders and innovators on a regular basis. 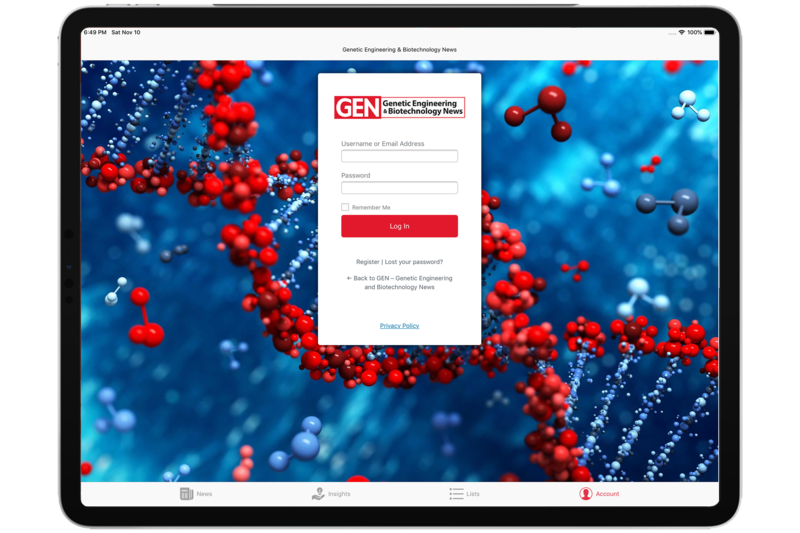 Create a free GEN account via our mobile app so you can comment on articles, save favorites, create a profile, and more.